You have signed up to receive email updates from Ancient Christian Wisdom. Empathy involves a shift from a focus on my feelings in being wronged to an awareness of how the other person was feeling before the transgression and is now feeling afterwards. Empathy not only broadens our perspective beyond the orbit of self, but also provides the cognitive space in which we can perceive our own capacity to commit the same transgression. This change in thought and feeling, in turn, makes room for sympathy, compassion, and forgiveness. If a Christian exchanges compassion and pity, for judgment and condemnation, the path to forgiveness is opened. 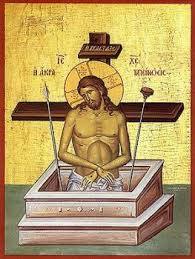 And one spiritual way to do that is through the empathy-promoting saying of Abba Dorotheos: “him today, surely me tomorrow” (Discourse 6). This brings humility and an awareness of our own frailty. It makes it easier not to judge, not to blame, not to condemn, but instead to be compassionate, loving, and forgiving. It is also significant that our focus is on the person who is in many ways like us, not on what the person has done that offends us. Harmful rumination coincides with the patristic teaching on the remembrance of wrongs (μνησικακία) that Ammonios Grammaticus defined as long-standing anger in contrast to a short outburst (On the Difference of Synonymous Expressions). For the fathers, the remembrance of wrongs is a passion of self-defense, related to anger and pride, that increases these passions to such an extent that they can lead a person to murder and bloodshed (Saint Gregory of Nyssa, Canonical Letter to Letoium, PG 45.225). According to Saint Syncletica, “Anger is like smoke that briefly obstructs the soul’s vision and then disappears, but the remembrance of wrongs makes that soul into a wild beast” (Life of Syncletica, PG 28.1524). This is why the fathers counsel us to cut off thoughts about others especially as they relate to their slights and offenses. Thus, Saint Maximus the Confessor would counsel: “Do not recall in times of peace what was said by a brother in times when there were bad feelings between you, even if offensive things were said to your face, or to another person about you, and you subsequently heard of them. Otherwise you will harbor thoughts of the remembrance of wrongs and revert to your destructive hatred of your brother” (Fourth Century on Love, 34). Perhaps, the best treatment for rumination or the remembrance of wrongs is prayer that unites us with our longsuffering, compassionate, forgiving Heavenly Father and that can make us a bit more like Him (Saint Gregory of Nyssa, On the Lord’s Prayer). Empathy is helpful in terms of providing us the opportunity to see another’s fault as potentially our own and to become compassionate, understanding, and a bit more humble. Ruminating on the actions of another is on the contrary harmful in terms of moving us rapidly from that terrible action to that horrible person with whom we have no desire to empathize. The way of empathy is a path to compassion, sympathy, and humility that makes room for forgiveness, while the way of rumination (or remembrance of wrongs) is a road that leaves us in a pit a pit of bitterness, seething with anger and a desire for vengeance that precludes the possibility of forgiveness. From psychological research and from the wisdom of the fathers, we can see that for the peace of forgiveness to be ours we need to focus our attention on the sinner to be loved rather than the sin to be hated in a spirit of humility and with the acknowledgement of our own weaknesses and capacity to offend. When we turn to God humbly in prayer, when we close off unprofitable inner dialogue with a door about our lips, when we incline our heart only towards that which is good, we can look at our brother as our brother, our sister as our sister, with compassion, with empathy, without rumination, and yes with forgiveness. Please make sure to bookmark us. We all like consistency between our thoughts and our actions. It is as though we have a map to a goal and we are following it. When we lose that consistency, we feel lost, distressed, and uncomfortable on account of what psychologists call cognitive dissonance, a condition that becomes worse in proportion to the meaning and importance of those thoughts and actions. This state of discomfort is actually a gift that under the most important of circumstances the Fathers would refer to as pangs of conscience. Those with a refined conscience for whom living in accord with God’s will is highly important will experience great cognitive dissonance when they act in an un-Christian way. Saint Jerome refers to such cognitive dissonance when he asks, “How have we been able to say in our daily prayers ‘Forgive us our debts as we forgive our debtors,’ while our feelings have been at variance with our words and our petition inconsistent with our conduct?” (Letter 13 to Castorina). In this verse from the Sermon on the Mount—“if thou bring thy gift to the altar, and there rememberest that thy brother hath ought against thee; Leave there thy gift before the altar, and go thy way; first be reconciled to thy brother, and then come and offer thy gift,” our Lord takes the teaching on ritual impurity to another level beyond the washing of hands and plates to the purifying of thoughts and memories, always turning our attention inward to order our life outwardly. If we remember that we are not at peace with our brother, we need to go and seek reconciliation, exchanging friendship for enmity, regardless of whatever else we might be planning to do, no matter how noble and exalted it might be, even the worship due to God. This is because the ultimate offering that we make to God is not our words, but our very souls (Saint Augustine, Homily 32). Saint John Chrysostom sees this particular commandment of Christ as a sign of God’s exceeding goodness that He places our relationship with our brother and the inclinations of our heart even before His service (Homily 16 on Matthew). The instruction to “leave thy gift there” suggests the need to act swiftly when the remembrance of enmity arises, because of the negative consequences of not doing so. Elsewhere, Saint John Chrysostom notes that when we drag our feet in seeking reconciliation, we allow anger of the moment to turn into lingering, festering malice, making it that much harder to take the proper course. Thus, the Saint writes, “For when one day has passed, the shame becomes greater; and when the second has arrived, it is still further increased; and if it reach a third, and a fourth day, it will add a fifth. Thus the five days become ten; the ten, twenty; the twenty an hundred until the wound will become incurable; for as time goes on, the breach widens… And it becomes more difficult to get rid of one’s enmity not only on account of the lapse of time, but on account of the state of affairs as that time has passed, for as ‘love covers a multitude of sins,’ so enmity creates sins that do not exist” (Homily 20 on the Statues). From these comments of the Saint, it is clear that Christ’s teaching about leaving the gift at the altar is about healing the human heart. It is of such great importance that Saint John Chrysostom urges, “Knowing all this, you should make the first advance to your brother; catch him before he has entirely slipped away from you and if necessary run through the entire city on the same day, go beyond the walls, even make a long journey, leaving everything else on the side and attending only to this one work of reconciling yourself with your brother” (Homily 20 on the Statues). Of course, even when the conscience cries and cognitive dissonance is felt, we can go into denial about the relationship with our brother, we can justify our behavior by offering a thousand reasons why we can’t be reconciled or don’t need to be reconciled, and this may relieve some of the tension, but not ultimately bring us peace. Knowing this, Saint John again stresses the only solution is to change our behavior by obedience to Christ’s commandments. And if we need help, the Saint suggests that we encourage ourselves with some wise self-talk “Stir up your soul when it shrinks back reluctant and ashamed, by perpetually harping on this theme and saying, ‘Why are you procrastinating? Why are you withdrawing and hesitant? We are not concerned about money or other passing things, but with our own salvation. 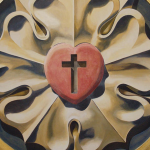 God commands us to do this, everything else should be secondary” (Homily 20 on the Statues). Cognitive dissonance and pangs of conscience can be precious gifts when they become spurs for repentance, reconciliation, and transformation that we use to move to new places in our hearts, places where we can indeed worship God in spirit and in truth. In Saint Augustine’s reading of this verse he places the emphasis on the change in heart that is necessary for the commandment to be fulfilled: “When it occurs to us that we may have harmed our brother in some way, this is to be done not with the bodily feet, but with the emotions of the mind, so that you prostrate yourself with a humble disposition before your brother, to whom you have hastened in affectionate thought, in the presence of Him to whom you are about to present your offering. 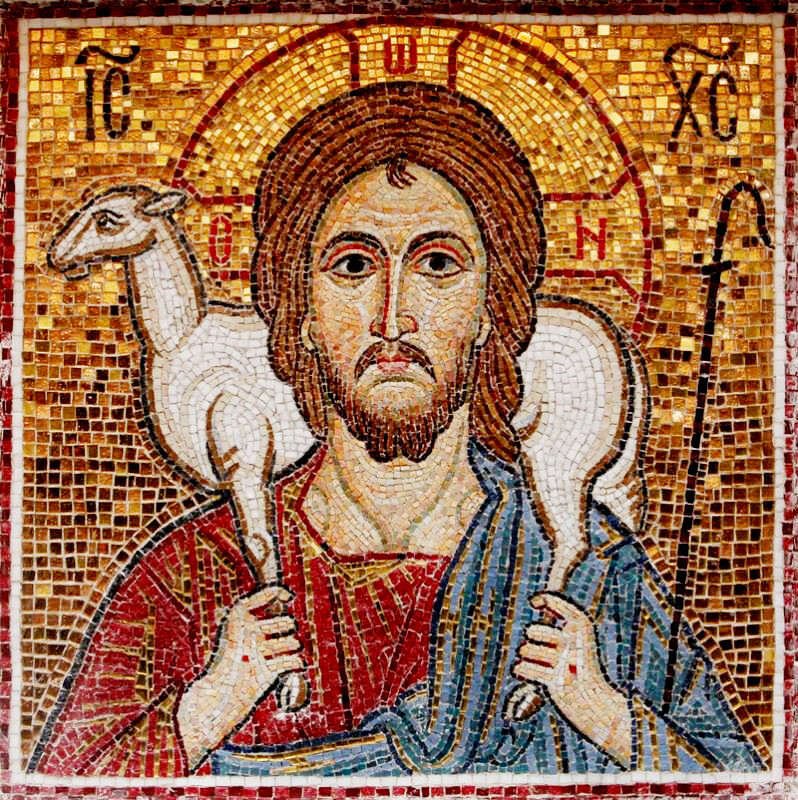 For thus, even if he should be present, you will be able to soften him by a mind free from dissimulation, and to recall him to goodwill by asking pardon, if first you have done this before God, going to him not with the slow movement of the body, but with the very swift impulse of love” (Sermon on the Mount). And so with humility and swiftness, with warmth and honesty, with our thoughts and with our actions, let’s heed our conscience and make use of any cognitive dissonance we might feel when we turn to God in prayer. In doing so, we gain not only our brother and our sister, but also our soul and our God.